Hello, hello, and HAPPY FRIDAY! I'm starting a weekly series blog post called the Friday Five. Every Friday, I'll be bringing you a new set of fives. What are these fives? They could be anything - five favorite bloggers I don't know, five favorite bloggers I do know, five biggest inspiration sources, five favorite websites, designers, you name it. There might be repeats, there might not, it's a fun experiment for me as well, and I have so many things and people that bring me inspo daily! Each week I'll be bringing you five (quick) bits of personal inspiration, in hopes that it sparks inspiration in you, introduces you to a person or thing you didn't previously know, or is just a fun Friday read for you. This idea was born out of the importance of inspiration and creativity in our lives, and the source of inspiration. I know for myself personally, I really enjoy and benefit from hearing about things through people, through friends and connections. In our ever-adapting world of technology where there are so many choices and options, simply sourcing inspiration is freeing to me. This week, for the inaugural Friday Five, I'm bringing you Five of my favorite bloggers I follow and why. I don't know any of these women personally, but the artistic expression each of them brings to the table has been inspiring me for some time now. I plan on this topical Five happening often, as there are SO many women I admire in the blogging industry. Blair Eadie of Atlantic-Pacific was my first ever blogger to discover, probably somewhere around the 2012-2013 range, pre-Instagram blogging being king. A REAL BLOG! JUST the blog! I cannot remember how I stumbled upon her blog, but I seriously remember having the tab saved under Favorites and checking her site daily to see if there was a new outfit post up. It was like my own little inspiration secret, and it was so new and fascinating to me. Her imagery is beautiful, and her feminine, classic taste is something to behold. It is truly like artwork when I browse through her site and feed. She's had some incredible collaborations, partnerships, and features along the way as well. I still have stuff I bought through her blog when I was finishing college. She's my ultimate original, and I will be a faithful follower for as long as she's going! Also, pro tip, if you haven't already, go to your favorite bloggers actual blog, click their About Me, and read about where they came from. It can be pretty incredible, and most of the time those top bloggers that make it look easy, actually have a quite a resume built up in the fashion industry. Super impressive and masters of their skill. Jacey Duprie of Damsel in Dior is one of my newer discoveries (within the past year), but none the less favorites. She has the kind of style where you go "Oh my gosh, she looks fabulous" and literally she's wearing jeans and a white t-shirt. She is my favorite for high fashion and beauty inspiration. She's also REAL. Just check out her blog. It's amazing. She talks everything from botox to total honesty in the blogging world. Don't you just love people like that? Nothing to hide, nothing to prove, authentic. She's great about doing Insta-stories too, including bits of her personal life. She's another that has been in the game before it was crowded. She's straight inspo for me. 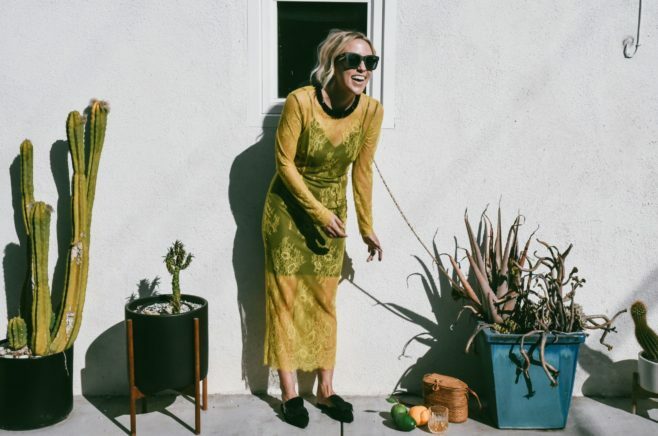 Kendall Kremer of Styled Snapshots is the blogger where you're like I. NEED. TO. BE. WEARING. THAT. RIGHT NOW!!!!!!!! Seriously though. Her style is so wearable, and she styles it in such an approachable manner. She's like the people's blogger. It's incredible. She shops where you shop, she wears what you wear...it's just, dreamy. She also throws in fun stuff on her stories like Trader Joe's trips or her cute pup. Check her out. KeKe O of Style Your Selfie is my most recent blogger discovery of the five. She was actually a member of the Influencer Panel at the recent Style Collective Conference I attended in Raleigh (Catch my blog post recapping the conference here). KeKe initially struck me because she is so incredibly regal. She's one of those people where you almost stop in your tracks because they are that striking, just their presence all together. The biggest takeaway I have from KeKe's advice on the panel is to "get over myself." She said her journey into blogging didn't really take off until she was able to do that. Because it's a different career path, unique and public in so many ways, where it is easy to get caught up in yourself and your insecurities. She has taken her business to new heights, she now has her own line of gorgeous (and affordable!!!) pieces. Ummm, what a dream. Seriously, an actual dream. How amazing. Check them out. I've been heavily eyeing the Sasha Dress and Isabella Dress. Katie Sands of HonestlyKate is my happy-go-lucky-totally-inspirational-vibes blogger. Her look drew me in, her values keep me loyal. She is honest about all things blogging, like paid campaigns and being a true advocate of the things and brands she endorses, usually finishing a post with #AlwaysBeingHonest. Her NYC photos are also just so fun and inspirational, with the sweetest smile in each one. She has the down-to-earth vibe where you're like "we could totally be friends." HonestlyKate's outfits and style are totally mood board material for me - it just gets me so inspired. What do you think? Do you also follow any of these bloggers? Why?